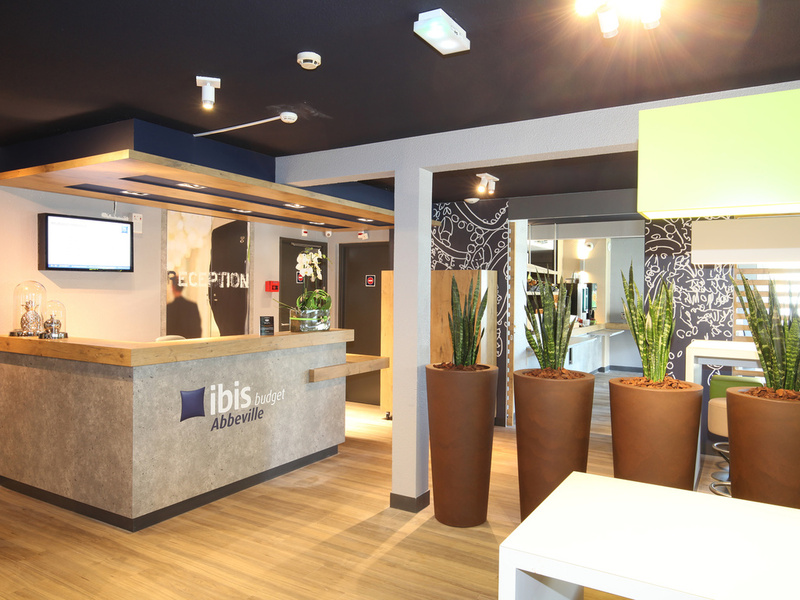 The ibis budget Abbeville hotel is ideally located 20 minutes from the Bay of Somme (Le Crotoy, Saint-Valery), 30 minutes from the Bay of Authie (Fort-Mahon, Quend) and 45 minutes from Le Touquet Paris-Plage. Book rooms for 1, 2 or 3 people and enjoy free WIFI access, a hearty breakfast and restaurants just 220 yds (200 m) away. U hypermarket with pharmacy and banks a 15-minute walk from the hotel. 1.9 miles (3 km) from the city center and the train station. Cocoon & Design Room with double bed and duvet, overhead bunk bed for 1 person, bright XL shower and separate toilet, flat-screen TV with a range of channels, multimedia connections and WIFI. Ideal for families, couples and friends.